Making children eat healthy stuffs is quite challenging, especially if they ask you something to eat in the evenings. In case of children, evening snacks provide energy for their playtime and studies. When you prepare evening snacks for kids, it should be tasty and nutritious and healthy snack provides the most required nutrition to the growing children. Nobody wants their children to eat unhealthy snacks like chips and chocolates on daily basis which cause them obesity, tooth decay, low immunity and what not! I am here to discuss some quick and healthy evening snacks for kids, that are tasty and healthy. 1. 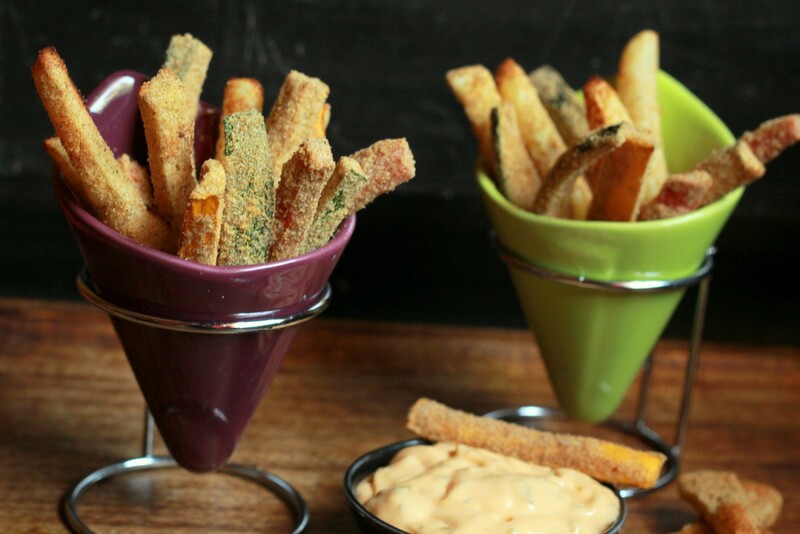 Vegetable fries – When it comes to eating vegetables, children always find new ways to get rid of. This recipe is one of the successful hacks how you can still make them eat healthy veggies without letting them know what’s inside! Preheat the microwave to 150 degrees F. Cut the vegetables into long 4-inch size just as you would do to prepare french fries, and keep them aside. Add some amount of salt and pepper to the egg white, beat until everything mixes evenly, and keep aside. Add the herbs of your choice to the bread crumbs and avoid overdoing it; keep it aside as well. Coat a layer of egg white on these vegetables with the help of a brush. Now keep these vegetables onto the bread crumbs-herbs mix, making sure that the crumbs get stuck firmly at each side and the entire part of vegetables are covered. Take the cooking tray, cover it with aluminium foil and grease its insides with (not too much) cooking oil. Keep all the vegetables onto it. Now bake for 5 minutes keeping the temperature on medium range and change the position after that, continuing the method. Make sure that the vegetables get tender, else continue the process. This all depends on the type of microwave/OTG you have with you. 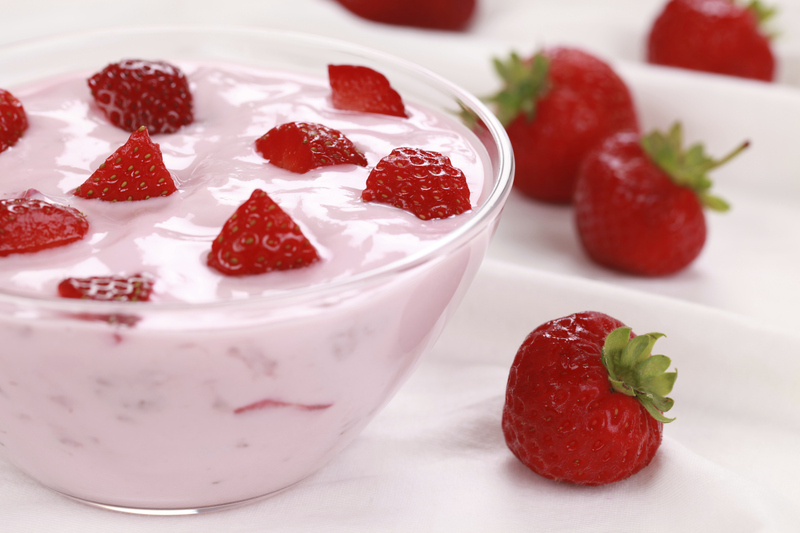 Take out the tray and serve in front of your children with tomato ketchup or yogurt. You may try out other vegetables as well that are firm (like sweet potatoes but not tomatoes!). Note: If you do not have a microwave or OTG, you may deep fry the vegetables in a saucepan using the cooking oil. But I warn you that it contains lots of oil and it would not be a healthy option, but yes it will be tasty. 2. 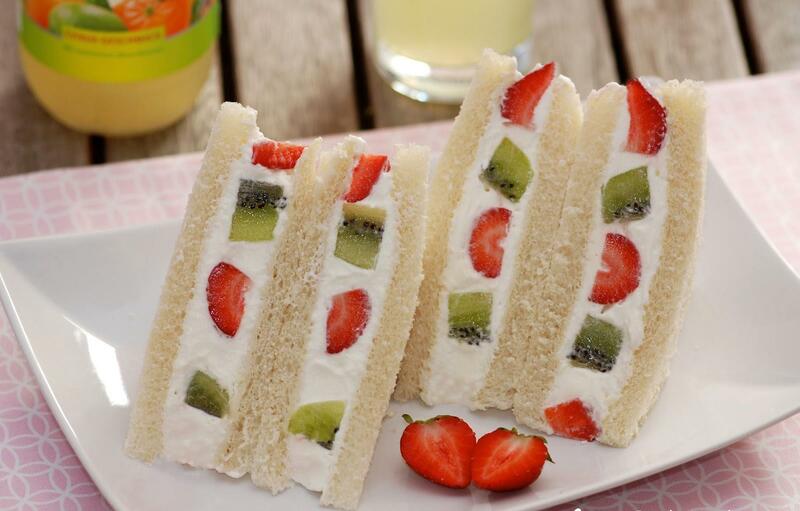 Fruit Sandwich – Do not ask them whether they are going to eat it. Simply prepare and keep it in front of them, with as many fancy garnishings you want to present. It is tasty and, of course, healthy! Cut the sides of bread. Spread a thin layer of fruit jam on 1 slice of bread and another layer of honey on another slice. Now keep the fruit slices of each fruit and press the bread slices together to enable them getting stuck. 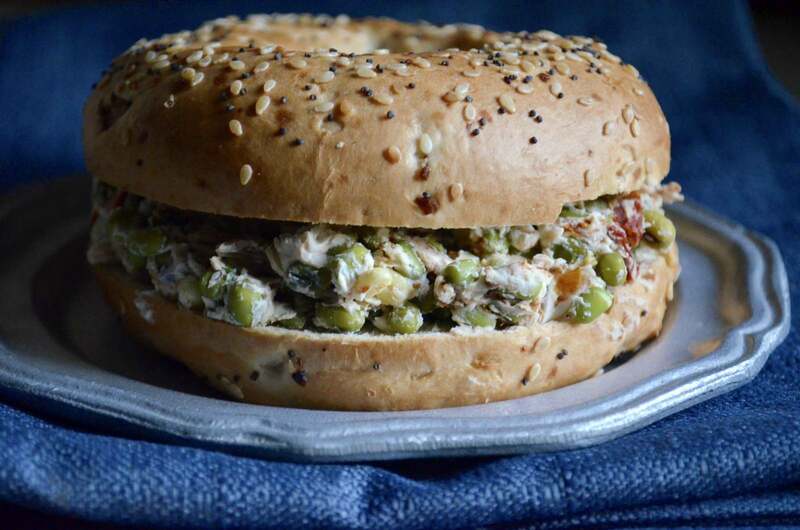 You may serve this raw with a fruit juice or milkshake OR you may also go for its grilling procedure and serve the hot sandwich in front of your children. You are free to experiment by spreading the Nutella hazelnut chocolate spread, instead of honey or jam or both. Pay attention to what your children like. Since Nutella would be a costly option, better avoid it because once they are used to Nutella they are never going to have honey/ fruit jam spread (a big turn off!). 3. Sprouts Burger – Your children most likely reject the sprouts if you give them directly, no matter how many times you provide them the ‘health’ advice. This is the way how you conquer their heart. Cut the buns into 2 equal halves. Add a layer of mayonnaise spread to one of the slices. Now add some amount of sprouts and 1 cheese slice. Cover the bun with another half. Now you may either directly serve this to your children or grill into microwave and then serve. 4. Fruit Smoothie – This particular recipe requires lots of experiments. This totally depends on the types of fruits your children admire and likely eat. You may also add some not-so-liked fruits in small quantities to keep in check of their health. I am presenting here strawberry smoothie (2 servings) which could be replaced by any fruit of your choice. You may also try mixed berries. Blend all the ingredients altogether and serve immediately. You may also serve with a scoop of ice-cream or whipped cream on the top, if available. It will also work fine without the creams and toppings. I hope you enjoyed reading these recipes and quite eager to try them out. So, what are you waiting for? Just do it now! Previous story Is New Generation Smarter than the Old Generation?